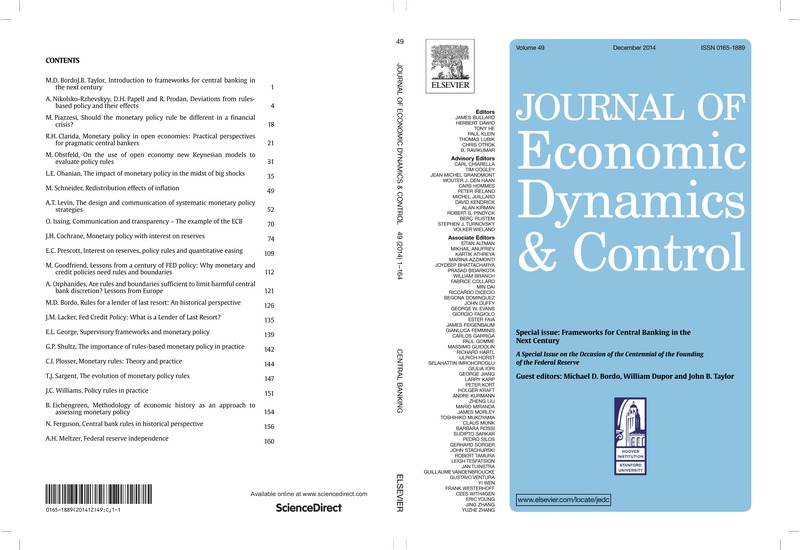 As the two year centennial of the founding of the Fed in 1913-14 draws to a close this month, a new centennial volume, Frameworks for Central Banking in the Next Century, is being published as a special issue of the Journal of Economic Dynamics and Control. Edited by Michael Bordo, Bill Dupor and me, the volume consists of papers, discussions and panelists’ remarks from a conference at Stanford’s Hoover Institution. The overall viewpoint of the volume is considerably different from other centennial volumes, including a symposium published by the Journal of Economics Perspectives called The First 100 Years of the Federal Reserve, based on a conference held at the National Bureau of Economic Research. 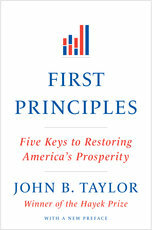 As Mike Bordo and I explain in the introduction to the new volume “…the findings are consistent with, and would encourage, a more rules-based policy for the Federal Reserve. 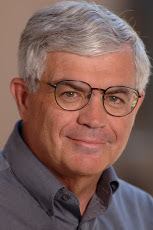 As a result they would, as many of the papers argue, improve economic performance in the United States and the global economy.” For example, the first paper (presented at the conference by David Papell) “uses a battery of statistical techniques to determine when in history monetary policy was rule-like, and it shows that the rule-like periods coincide remarkably well with periods of good economic performance. A clear policy recommendation emerges directly from these statistical findings: use rules-based monetary policy whenever you can.” (This introduction and all the papers in the volume can be found here). There are, of course, discussions and debates on this and many other important central banking policy issues elsewhere in the volume with fascinating contributions by John Cochrane, Lee Ohanian, Michael Bordo, Athanasios Orphanides, Rich Clarida, Alex Nikolsko-Rzhevskyy, Ruxandra Prodan, Andy Levin, Marvin Goodfriend, Esther George, Tom Sargent, Monika Piazzesi, Charles Plosser, John Williams, Jeff Lacker, Ed Prescott, Allan Meltzer, Niall Ferguson, Martin Schneider, Maury Obstfeld, Barry Eichengreen, George Shultz and Otmar Issing. Here is what the special issue (with the TOC on the back cover) looks like. 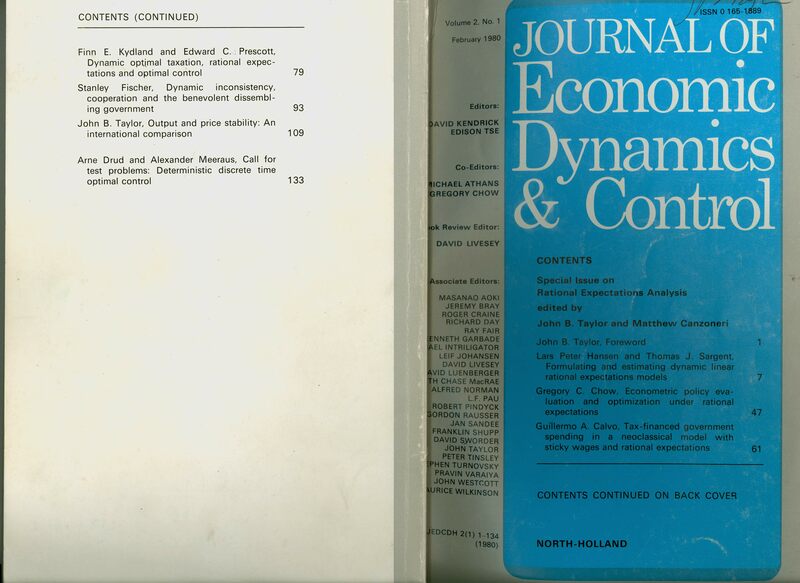 Interestingly, 35 years ago (when the rational expectations-policy evaluation revolution was just beginning) I coedited (with Matt Canzoneri) another special issue of the JEDC on aspects of rules-based policy with contributions by Sargent, Prescott, Kydland, Hansen, Calvo, Chow, Fischer and me. Here is what it looked like.